You're 4 steps away from a Vietnam visa on arrival. No documents to send off. No need to stand in line at the consulate. 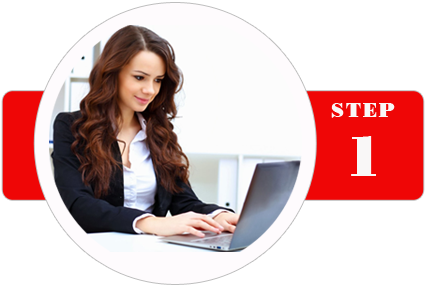 Fill in the online form on our website at APPLY VISA. Enter your information into the secure online form. This step requires you to enter the exact personal information of all the people who include in your application. 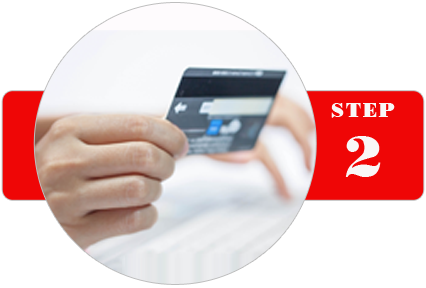 Choose the payment method (Credit card or debit card, PayPal or Bank transfer) and fill in the secure payment page for our visa service fee and extra services (if any). After we have received your payment, we will send you an email asking for extra information to finish your application. After settling the payment, you will get our confirmation email for your information and the time when you Get your approval letter for boarding at the airport. 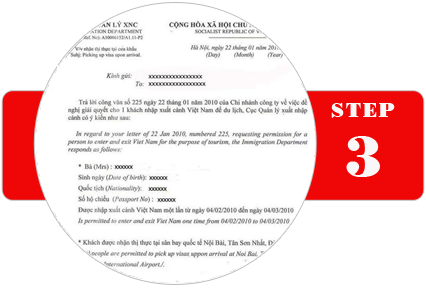 Once receiving the approval letter, please prepare two pictures (4x6 cm) and some cash in USD or VND for the stamping fee (25 USD/person for single entry, or 50 USD/person for multiple entries). 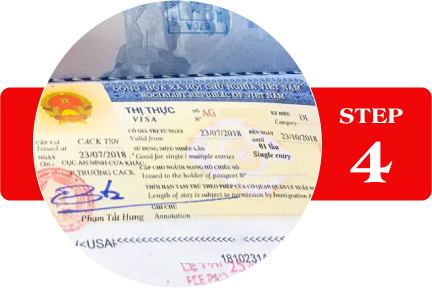 Take all visa documents as mentioned with you to give us when you come to Vietnam so that we can complete all procedure for you to take your visa stamp. Kindly send us your exact flight number, the departure and arrival time (GMT+7) via email so that our staff can pick up you at the “Landing visa” gate. Note: In the case your flight is changed, please notify us 4-8 hours before your landing. You also should prepare your pictures and money in cash for Government fee, give them to our staff, then we will handle the other steps at the Immigration counter. In the end, your passport will be stamped with a Vietnam Visa glued on it. You can visit Vietnam with a valid visa now.